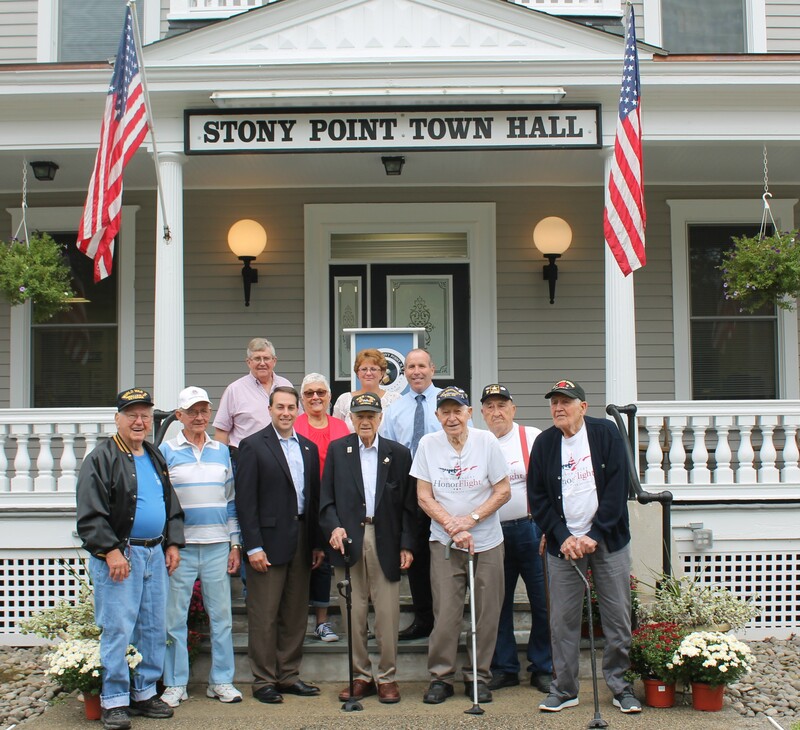 Senator Bill Larkin (R-C-I, 39th District) visited with officials from the Town of Stony Point last week to observe infrastructure improvements made to Stony Point Town Hall. A $250,000 grant secured by Senator Larkin in 2016 was used to complete major infrastructure needs that the town had been trying to address for years within its own budget. Stony Point Councilman Karl Javenes, who helped oversee the project on behalf of the town, told the Rockland County Times the renovation has given the 104-year-old Town Hall building a new lease on life. Passersby will notice that the Town Hall has been repainted. Improvements less visible include a partial roof replacement, siding repairs, gutter replacement, new front doors, exterior lighting, a new HVAC system, windows and insulation. “These are improvements we have wanted to make for a few years,” Javenes said, noting that the grant allowed the project to get off the ground. Javenes had first compiled a wish list for Town Hall improvements back in 2012, during his first term in office. This will be Senator Larkin’s last term in office, after a long and notable career. He is one of the last remaining World War II veterans in the United States to hold elected office. This funding is part of the State and Municipal Facilities Grant Program (SAM) and is processed by the Dormitory Authority of the State of New York (DASNY). Built around 2014, Stony Point’s Town Hall building originally was the home and office of town physician Dr. John Sengstacken. In 1966 the building first became Town Hall, surviving a brush with arson on Sept. 11, 1976 that nearly destroyed the building and all the records inside.